Book store price stamp first page else clean and tight with deep crease on back cover and on last few pages. "...Concerned with two distinct periods of voyaging and colonisation. The first began some 50,000 years ago in the tropical region of Island Southeast Asia, the continent of Australia and its Pleistocene outliers in Melanesia and was the first voyaging of its kind in the world. The second episode began 3500 years ago and witnessed a burst of sophisticated maritime and Neolithic settlement in the vast remote Pacific. This phase virtually completed human settlement of the planet apart from the ice-caps. 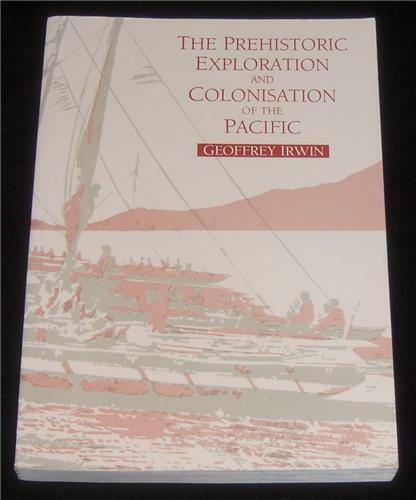 Using an innovative model to establish a detailed theory of prehistoric navigation, Irwin claims that rather than sailing randomly in search of the unknown, Pacific Islanders expanded settlement by the cautious strategy of exploring first upwind, so as to ease their safe return..."